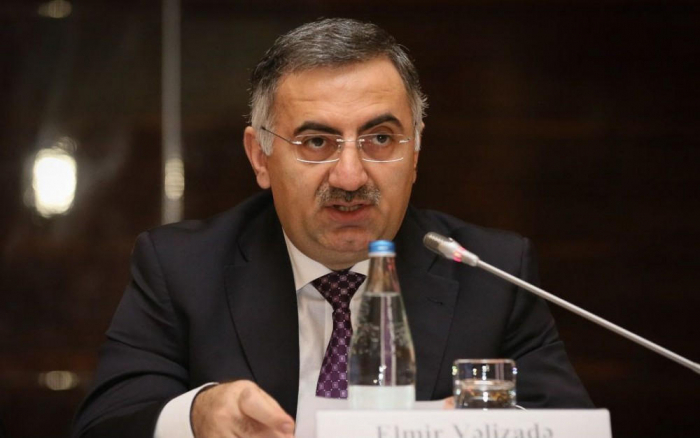 In the framework of GUAM, discussions are underway on the joint introduction of the process of electronic tax declaration, Elmir Velizade, Deputy Minister of Transport, Communications and High Technologies of Azerbaijan, said Oct. 24 at the international conference dedicated to the presentation of the mobile residence program. Velizade noted that these discussions will continue in Baku in the near future. "We believe that the successful experience of Azerbaijan can be applied and developed not only at the level of the GUAM secretariat, ISESCO, but also in other international organizations. The only thing that matters is that this work would be carried out in accordance with our legislation, since it is based on European directives, that, in turn, simplifies our work in terms of mutual recognition of e-signatures," Velizade said. The deputy minister noted that the new eIDAS (electronic identification and trust services) legislation (2014/910 / EU) has been applied in the EU since 2016, replacing the EU Directive on electronic signature dated December 13, 1999. "Currently, we have developed a new bill together with the European Union. The work is at the final stage of completion and, after the work in this direction is completed, the document will be submitted to state authorities for approval according to the internal procedures of the country. I note that the country’s activities in this direction fully meet the growing needs and trends of global development," Velizade said. The project of mutual recognition of e-signatures between countries is of interest in the countries of the region, Velizade said. "The creation of such an opportunity not only allows for expanding the list of e-services in the country, but also makes them accessible to foreign citizens," Velizade said. The introduction in the country of new generation of identity cards, which also integrate e-signature certificates, will play a special role in expanding the use of e-signatures in Azerbaijan, Velizade said.